Get started with our free forever license. Unlock extra features with our unlimited plan to help students learn and master more concepts. 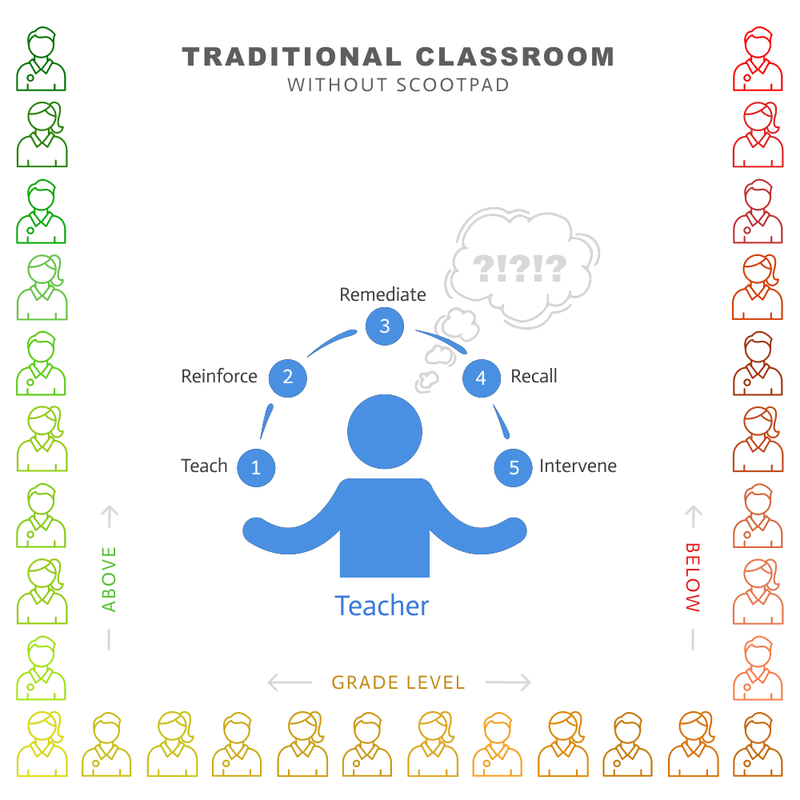 If you're a teacher and new to ScootPad, start with our Free Classroom. It's totally free and is the best place to start! Free Classroom $0 totally free forever! Spelling, eBooks and Others Behavior, Writing, Projects, Reading Logs etc. Students are able to solve more problems which leads to higher rigor, deeper mastery and longer knowledge retention. Students get more remediation which fills more knowledge gaps helping them move ahead to master advanced concepts. Students are able to master more concepts which prepares and helps them advance to deeper content and higher grades. What can I do with my free classroom? If you're a teacher and new to ScootPad, start with our Free Classroom. It's totally free and is the best place to start! Free classroom gives you access to all the content but limits access to the advanced features as shown in the side-by-side plan comparison table above. How do I upgrade my classroom? Simply click the upgrade link found under the classroom on your dashboard. It's just $1/day and you can upgrade for as many days as you need (minimum is 5 days). How do I download an invoice for my finance team? Simply click the upgrade/extend link found under the classroom on your dashboard. Click Upgrade again and under the Other Payment Options click Download Invoice. Is there a free trial available for the unlimited plan? Unfortunately, there is no free trial available. We encourage you to get free upgrades by inviting other teachers or upgrading for a few days to try all the unlimited features before considering upgrading for a longer period. Can we upgrade multiple classrooms? If you have multiple classrooms to upgrade, we recommend a Site License which is more cost effective while it also offers more features than individual classroom plan. I'm a parent. Can I buy ScootPad for my kids? 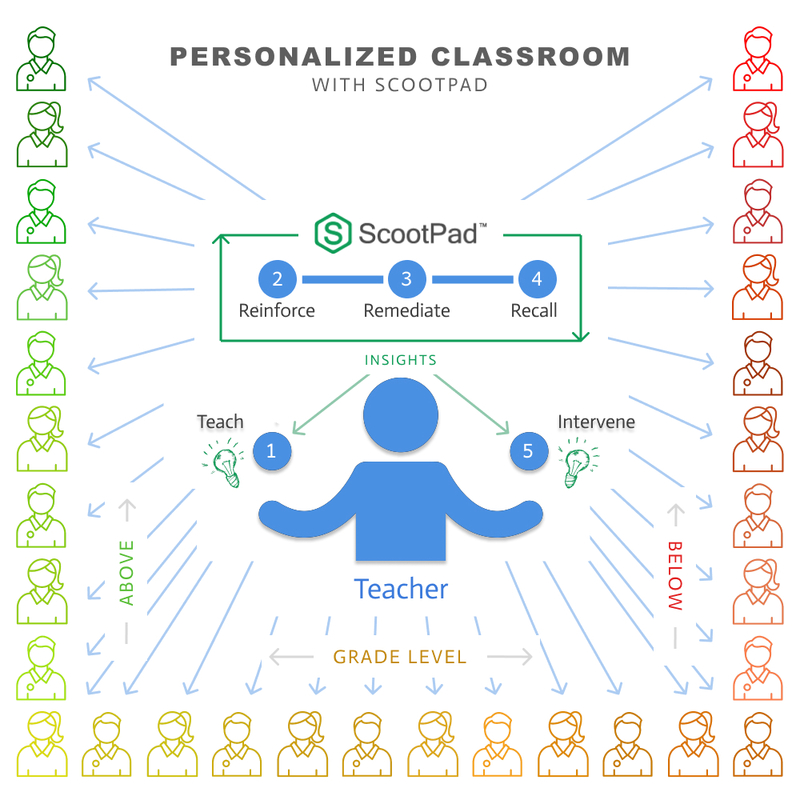 If your kids are part of a classroom using ScootPad, you can get a free parent account to access your kid's progress. If your kids are not in a classroom using ScootPad, then we recommend you to get a parent account on SimplyAdaptive, our adaptive learning product for kids which is specifically designed for parents. Why upgrade to the unlimited plan? Unlimited plan gives you access to all available features and enables you to boost the time students spend learning and mastering concepts. Students with unlimited plan solve 242% more problems, overcome 196% more knowledge gaps and master 212% more concepts compared to the free plan. How can I get free upgrades? Get free upgrades by inviting other teachers! For each new teacher who joins, we'll give you both a 30-day free classroom upgrade ($30 value). We accept Visa, Mastercard, American Express, Discover, JCB and Diners Club credit and debit cards. Purchase orders, checks and wire transfers are also accepted. Can I upgrade with funds from parents/PTA? Absolutely! We created a convenient and secure FundMyClass page personalized for each of your classrooms. Simply share this URL with your parents/PTA or anyone to fund your upgrade. 100% of the funds donated will directly go to upgrade your classroom ($1/day). To find your FundMyClass URL, click the Upgrade link and the FundMyClass button. How do I get a quote for my school or district? You can download a Site License quote from this page by clicking the Download Quote button. You can also give us a call at 1-800-844-5203 or send us an email with your request to sales@scootpad.com. Who can I talk to about pricing questions? You can give us a call at 1-800-844-5203 or send us an email with your questions to sales@scootpad.com. Our team will get in touch with you to discuss your pricing needs. Your quote has been sent to your email! Please check your email . Make sure to check your junk/spam folders if you don't find the quote in your inbox. Your quote is now ready! Click download to save your quote as a PDF file. Check your browser status bar or your Downloads folder for your downloaded quote.